To be able to write and then read before an audience requires more than a bit of courage. 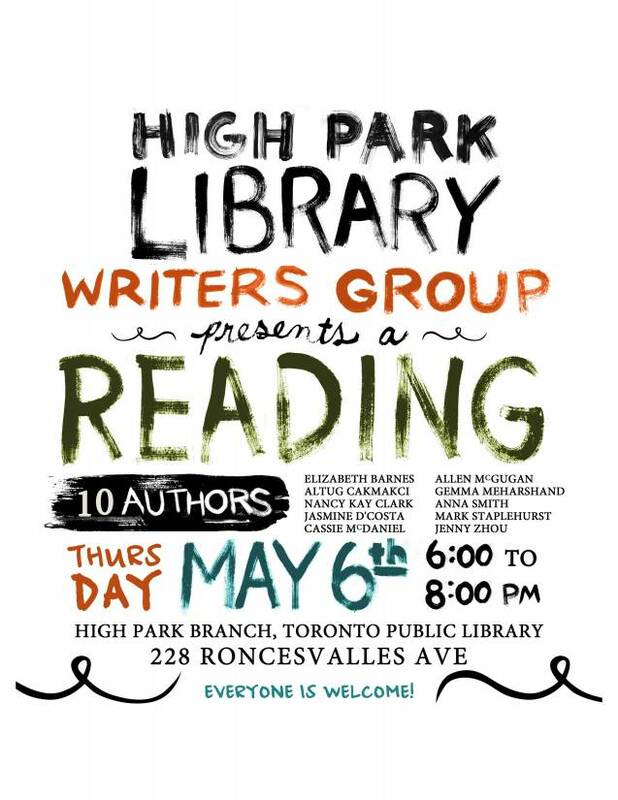 Earlier this month, I attended a reading session at Toronto Public Library’s High Park branch organised by High Park Writers Group. 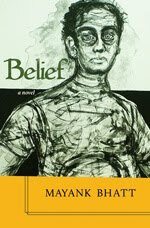 Writers who read included Nancy Kay Clark, Mark Staplehurst, Cassie McDaniel, Elizabeth Barnes, Anna Smith, Altug Cakmakci, Allen McGugan, Jasmine D’Costa, Jenny Zhou and Gemma Meharchand. All of them very impressive. I particularly liked Staplehurst, Cakmakci and Meharchand. My friend Jasmine, of course, continues to be as impressive as ever. Some of the writers at the reading had their work published in Canadian Voices Volume I and will also have their work in Volume II as well. 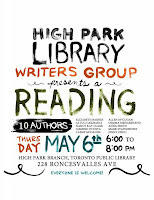 High Park Library Group Reading from Imelda O. Suzara on Vimeo.